Rent Movers offers different levels of service. We make it easy for you! There are a few ways you can go about a moving process depending on the ammount of energy or money you want to put into it. Our calculator is designed to help you decide what is the way that works best for you. Just one more way we remain transparent and easy to use. Truck rentals, portable storage containers and moving trailers are all affordable and abundant options for a do-it-yourself move. Which method you choose should be based on your relocation situation and budget. We’ve provided an in depth overview regarding these methods and how to choose one for both local moves and long distance moves. You can also explore moving guides and resources for each type of transportation and storage in our learning center. Step 3: Save Time and Money! The greatest benefit of do-it-yourself moving is in the savings. Full service moves are expensive, really expensive. By combining a rented moving truck or storage container (step 1) with moving labor to load and unload (step 2) you can save an average of 50% when compared to a traditional full service moving company. 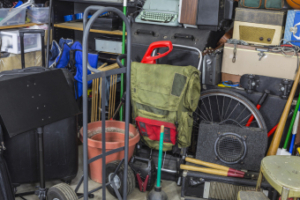 If you have a garage, a shed or sunroom overflowing with stuff you haven’t used in years, let us take care of this and remove it so you don’t have to!